General Motors shocked the auto industry when it announced plans to close up to five North American plants and slash 15 percent of its salaried workforce earlier today. 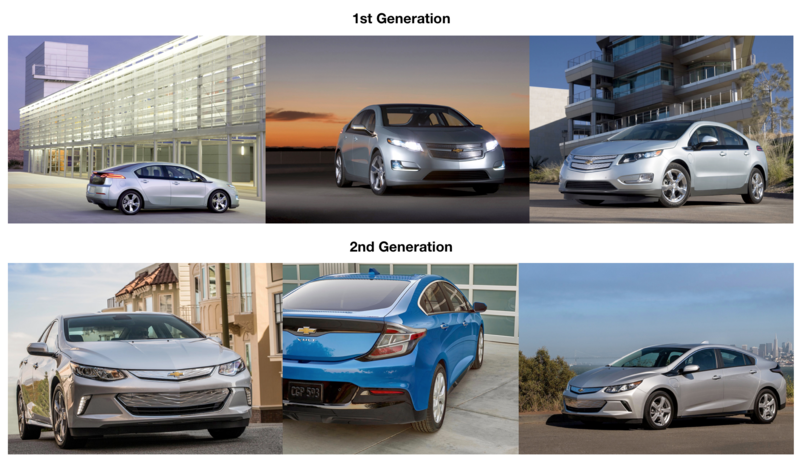 The initial release was light on specifics, but the company has now added a “North American Capacity Actions” sheet which spells out of the death of a number of different models. Like previous actions by Ford and Fiat Chrysler Automobiles, GM’s sedan lineup is seeing major cuts. 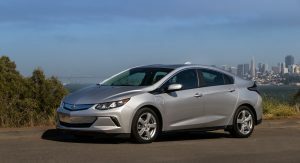 Things will kick off on March 1st 2019, when the last Buick LaCrosse and Chevrolet Volt are built at the Detroit-Hamtramck Assembly Plant in Michigan. 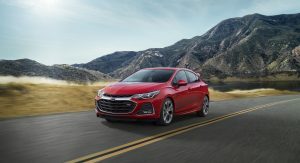 At the same time, a couple hundred miles away, the last Chevrolet Cruze will be built at the Lordstown Assembly Plant in Ohio. 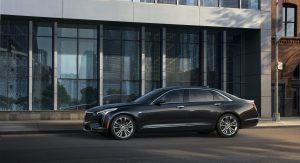 When summer rolls around, the Cadillac CT6 and Chevrolet Impala will cease being built at the Detroit-Hamtramck Assembly Plant on June 1st. 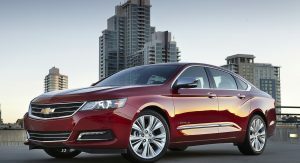 The Impala will get a slight reprieve as the model will continue to be built at the Oshawa Assembly Plant in Canada until the fourth quarter. Speaking of the Canadian plant, it will also stop building the Cadillac XTS and the previous-generation of the Chevrolet Silverado and GMC Sierra in the fourth quarter. Besides the elimination of some car and truck production, GM will close plants that build components for the outgoing models. 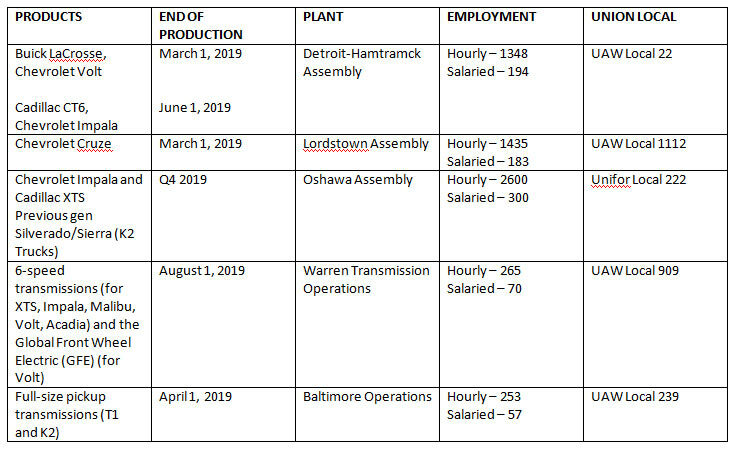 The Warren Transmission Operations center in Michigan – which builds transmissions for the Cadillac XTS, GMC Acadia and Chevrolet Malibu, Impala and Volt – will stop production on August 1st 2019. Likewise, the Baltimore Operations center in Maryland will cease production on April 1st 2019. All told, these five facilities employee 5,901 hourly workers and an additional 804 salaried employees. Unfortunately, the bad news doesn’t stop there as GM will cease operations at two additional plants outside of North America by the end of 2019. This is on top of the previously announced closure of the assembly plant in Gunsan, South Korea. OH HOW THE ONCE MIGHTY GENERAL MOTORS HAS FALLEN. A smart decision IMO. The market for those models is disappearing fast. Electric trucks & CUVs with autonomous capability are the future for bread and butter models. Americans are obsessed with crossovers and trucks! That trend will die/shift to hatchbacks and wagons 10 years from now after people are finally realizing that crossovers are basically hatchbacks/wagons, just few inches higher! Sheesh…. The trend is popular worldwide, not just N/A. Yea, wagons were popular back in 70s. Just gotta figure out how to bring it back and find a way to tell people how wagons are cooler now…. Yes this trend is so dumb. One day there will be a revolution when the engineers rediscover the fact that low frontal area will buy them an extra 5mpg. It’s conformity. People are too lazy and just wanna go with cheap popular leases. Ha. I think now there needs to be an government instinctive for sedans & other non-crossover/SUVs. I love my Elantra Sport. No interest in CUV’s what so ever. i don’t like SUVs and won’t get it but Jeep Wrangler? In a heartbeat. Totally different. I’d get a new Bronco too. Iconic only. Not just plain vanilla Tahoe or Durango or anything like that. Well, Cossovers & SUVs & Trucks aren’t going to be extinct anytime soon, because of it’s Utility, Space to haul People and/or Cargo, Available All Wheel Drive/4WD for most, there will always be a Market for them. Just like there will still be a Market for Sedans or Hatchbacks, albeit a less focus on them for some consumers. Are these models being killed for good or are they still going to be built in China? The CT6 will still be built in China but the others are most likely dead. I hope Cadillac is not putting it’s hopes on selling vehicles in China the way Lincoln has, because there is not a market in China for Cadillac (outside of SUV’s). I’ve lived in china (in the recent past) for over a year (business stuff), and Lincoln in China is not like Lincoln in the US. In China, Lincoln is an extremely highly regarded brand and is considered on par with the likes of Jaguar in China. 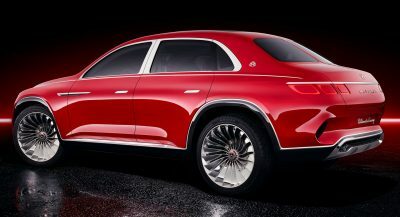 This is due to the perception of the brand as the last time Lincoln was really known about here was when Lincoln was at the top of the automotive luxury market decades ago. 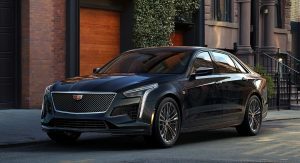 If Cadillac is looking for a slice of the ‘pie’ so-to-speak, I would be sad to say they may not actually find it in China with as much success as Lincoln (with the opinion of current Cadillac being the same across the board). I would hope that’s not why they will be building it in China, if so, I’m not really sure how much longer the CT6 will hold on for. I am curious as to whether these models will just be produced elsewhere or if they’ll share an assembly line with a CUV since they share architecture. I mean they just announced the new Lacrosse. 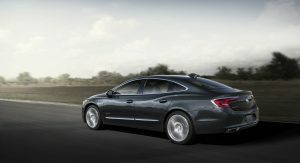 Or, the Buick LaCrosse Squared. Lol. Freaking squared 😂 lol. (ok you got a good laugh out of me there). 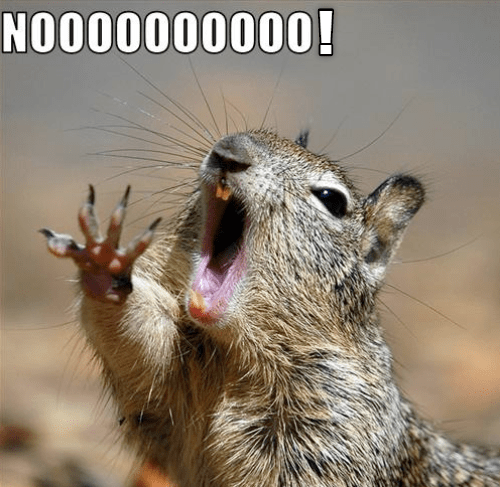 omg…..there will be nothing buy from GM…..why CT6 ? 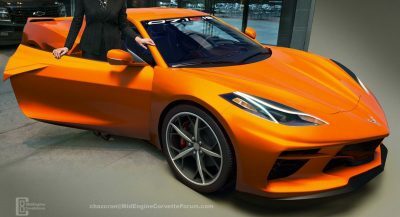 Its too good car, it just gets new V8 engine….what happens with GM ?? That’s great news! I am ok with those ugly cars ceasing to exist anyways ! 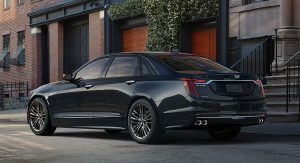 So will GM even sale the updated CT6? 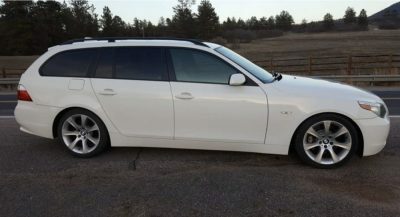 Its a major visual improvement and a car I was considering buying when it hit the dealerships. Yes. They just refreshed it and will offer it with a twin turbo V8 They’re not killing it. They’re just building it at another plant. CT6, XTS, LaCross are also made in China. Cruze in several places around the world. 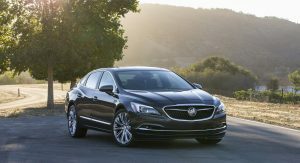 Impala is made in Detroit/Canada which are both closing. Volt made only in Detroit. All according to Wikipedia. Technically, CT6, XTS, LaCross and Cruze can live on outside US. Impala, Volt are dead. This is bad news. I would expect some “fire sale” pricing on these sedans next year. But the CT-6 is barely 3 years old! Are they killing off these sedans for good or is this a misleading article that fails to explain the whole story? Not the CT6 to my knowledge; it will still be built in China. The Volt and Impala will be dead for sure, the others may still exist outside the states. the volt was a great car for the greenies and the environmental crowd, but the impala will always be legendary and the name will live on for generations to come just like the u.s.s..enterprise. CT6 got very well reputation in Germany and its first time since many years chosen by wealthy Germans as luxury car. So they want to destroy good reputation which just started building in Europe. What a waste. 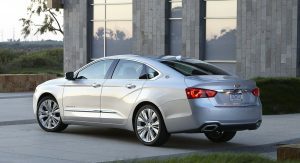 Impala is another problem – its last GM non premium full size and flagship Chevrolet. Ok, it didnt sell well, but they should sell fleet sales for police after end of Caprice. What? CT6 ain’t squat and never has been. Show me where it has a good reputation in Germany or is anything close to a full size German car. 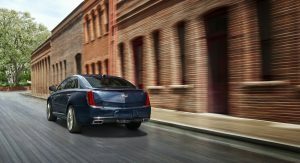 Cadillac, good reputation in Europe? Is that a JOKE? I believe you, but Europeans are choosing crossover SUV’s over sedans, and large sedans are having a difficult time finding buyers. The CT6 is a pretty decent car, and it is sad that Cadillac is taking this route, but maybe they can bring out an SUV as good as the X7 or GLE to be competitive in Europe again. The Buick is less than 2 years old. I think this will be a thorn in their side rather than a fix. And all imported too, nothing made here anymore if this keeps up. Tesla is alive and well leading the rEVolution. GM has to follow if they want to survive. Tesla? Alive and well? Funny. Consumers are making that decision not the companies. Companies are just giving the people what they want. I don’t disagree. Sad, though. This after publicly criticizing Ford’s move and promising a long-term commitment to sedans? My, that was a quick rethink. Sonic, Malibu, CT4, CT5 and new Cadillac flagship. And the CT6 will still be produced somewhere for the US market. Nothing says American luxury like a made-in-China flagship. As for the CT4, I’ll believe it when it’s in showrooms. Fast-forward a few years, and it seems very possible the only sedan in the lineup is the CT5. They could easily retool the Lansing Grand River plant (which will make the CT4 and CT5) to make the CT6. Maybe they could, but something’s gotta give. Cadillac won’t have a CT4, CT5, CT6 plus the rumored flagship (Escala?) sharing space in showrooms. They’ll struggle to justify two sedans, let alone 4. Even if the Escala is a “white space” model, the other three can’t coexist. A CT5 and the Escala seems like a workable lineup. It’s what I would do. Darn so no more ct6 v-sport on the way.. that would’ve been fun..
GM. I can’t stop shaking my head. Cadillac finally had a FLAGSHIP with the CT6 V Sport – and they kill the car. What morons. I can’t see it. I blocked Merc1 about a year ago. They didn’t kill it. It’s still going to be produced. Until June 1st? is that what you mean? More sales for Japan/Korea. Some people like myself still want a small, sporty sedan. I’m betting those won’t hit the road. Not in the slightest,.. truly “I hope” not. They need both a cohesive plan and a vision , because at the current moment it does not seem like they have one. Again,. I can only hope. GM has NEVER HAD THAT, so what in the world would make you think they have that now? How many years of utter failure do GM apologist have to live through before they realize that GM is f’d up from end to end? GM will never be what you’re saying. NEVER. Their lazy, ignorant, complacent corporate culture won’t allow it, even if it did, their bean counters would kill it. It’s called hope. Never said they did, never said they will. But is hope such a bad thing Merc1? A lot of these cars are coming up on their life cycle anyway they are not selling and no need to replace them with something else mediocre. GM only has to look at itself to blame. You guys aren’t reading, the CT6 is not being cancelled outright. It is still being built, but in China and will be imported to the U.S. They just updated the car with a facelift and a new V8, not even GM is that stupid to kill it off now. It just won’t be built here in the U.S anymore. I wonder how many people in the US will buy future CT6’s if they know it’s built in China and imported in the US? Apparently they’ll built a few – as basically a special ‘good-bye forever’ edition. I Sure as h*** gonna miss the Chevrolet impala, still beautiful and legendary, especially the 2014-19 one. Problem with the Volt is that they were too concerned with aerodynamics and not with making it roomy enough. While it has nice styling, once you squeeze inside you realize how cramped it is. You can easily bang your head getting in the back seat. The middle seat in the rear is basically useless. The driver’s foot rest is too high, etc. The electric-only Bolt, while not as pretty, is by comparison a comfortable, roomy vehicle. They were too arrogant to realize the majority of people would give up a few miles per gallon to have a more useful/comfortable car. Great car, but the Volt can easily be fixed by making it more wagon-like…. not cancelling it. The first generation Volt (as I had been in one, and knew people who owned one) did not have this problem to the same degree. That all changed in 2016 when they redesigned it to give it that ‘coupe/fastback’ design shown above. Before there was actually room, and it was quite a desirable car (at least in my opinion). If they do bring it back they’ll need to likely do 2 things. #1 don’t make it look like an electrified variation of Cruze (as they did with the 2nd gen). #2 Maybe consider making it a full EV like the Bolt (which already has pretty impressive EV figures). #3, create a desirable and unique vehicle (like the first gen was). Hopefully one day they’ll bring it back,. better than it was before. Like a poor man’s Model S, with Camaro and Corvette good looks. The only styling cue that made it from the great-looking first version to the meh-looking second version is the worst part of the design – the awkward little black plastic chunk in front of the side mirrors. Agree. If they had made it bigger it would have been more successful. I can’t believe I actually agree with you on this. You speak total nonsense. I’m 5’11 and never hit my head in my Volt. I am not cramped in any way. Tons of room. I only drive my Volt. Who sits in the rear? 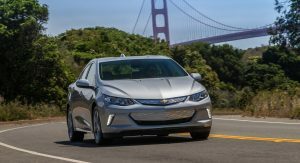 The Volt should always have been a CUV and a Buick (Electra), but the indication is that the Volt will be replaced by a cross-over bodystyle. The problem with the Volt is that the first version looked modern and distinctive without looking gimmicky. The second version looks anonymous, like a 10-year-old Civic. Shame on you GM. I say… don’t buy ANYTHING they make. Tesla disrupted the industry. GM has to adapt in order to survive. Tesla could fold any minute LOL!! This had nothing to do with Tesla. Nothing! People in general prefer to purchase cuv/suv’s and they don’t want mediocre sedans anymore. 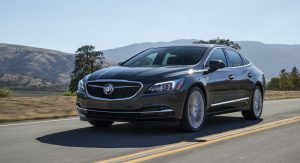 The Buick Lacrosse isn’t bad but for similar money (or a little more) they can have a decent suv. 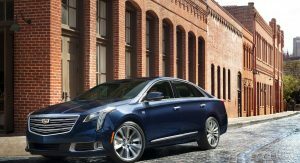 The Caddy XTS is a nice car and will be really good with the new Blackwing engine in it but again, for similar money, one can get a really nice suv. Did you pass out drunk on your keyboard when you created your username, of do you have so many so you can troll you just gave up? Not necessarily, neither the LaCrosse or Regal are big sellers these days. GM could just add another crossover to Buick’s lineup. I’m really disappointed by this. Will they be produced somewhere, like China? They are smart. They are cleaning up now rather than waiting for the next downturn in the economy. It’s coming. Yep – they’re shutting down slow selling lines and raising cash for lean times ahead. They are acting instead of reacting. 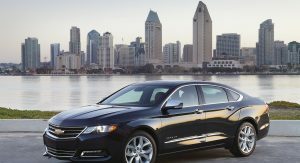 IMPALA was old, and Chevrolet’s car-heavy portfolio in the face of crossover-mania offers no less than the Spark, Sonic, Cruze, Malibu, and Impala–to say nothing of niche models like the Camaro, Corvette, and Volt. 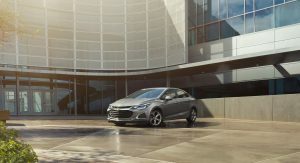 Malibu struggled whenever they tried to make it smaller, because sales were cannibalized by the Cruze. It sold better with its long wheelbase, but that meant that the Impala lost relevance. It’s still the best looking Chevrolet sedan IMO, and it has better resale value than you’d expect, but its time has come to an end. VOLT. 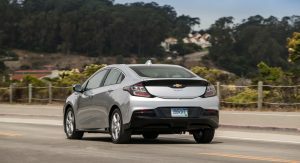 It’s no coincidence that GM’s electric car credits are just about to wind down as they drop the model amid (relatively) cheap gas, a movement to freeze federal fuel economy standards, and another movement to revoke pollution regulations in populous areas like Los Angeles via CARB. Probably the next “Volt” should just be a crossover. XTS. This is the ancient FWD/AWD relic of the rebodied old Deville, which became the DTS, then XTS. Your assessment is completely backwards. It was supposed to die many times over by now. However, due to its popularity–often times outselling total sales of the ATS and CTS COMBINED–GM was forced to keep producing the outdated architecture until it was no longer profitable. It had odd FWD proportions, but the inside, especially recently, is exceptionally well appointed for Lexus ES levels of money. Another model that does surprisingly well on the used car market. It’s a miracle it went on this long, as the CT6 was supposed to replace it. LACROSSE. Another Lexus ES competitor. Sedans in the entry luxury market seem to be hit particularly hard by the crossover craze. Just look at Acura. The car debuted to rave reviews. The refresh that just leaked looks even better. I suppose this will be for China only, or perhaps imported like the Envision. CRUZE. I’ve long maintained that the Cruze was one of the best in the segment. The previous generation offered an interior that flat out embarrassed the Civic and Corolla, an efficient and powerful turbo-4, and a better, quieter ride. The new one honestly looks like the old Civic to me, which I do not care for. Speaking of which, the competition has seriously improved their game. I suspect that with rising costs from steel, domestic production has again failed to earn a profit–something the big 3 have struggled with for decades on small cars. CT6. I really doubt this will die. It is the newest of Cadillac’s sedans, and the only one currently in production not slated to be axed. There is a brand new refresh, and the Blackwing twin-turbo V8 just developed for it. If they can just step up the lux packages (see Lincoln Continental), this would make a fine flagship. I wouldn’t mind seeing the Sonic, Cruze, and Volt all rolled into one model. It could offer hatchback, sedan, hybrid, and electric variants. This would do well for marketing a mainstream product, as people tend to buy what they know. If something is popular, people tend to trust it, which just means more sales and popularity. 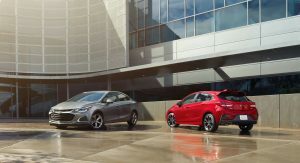 Civic offers sedan, coupe, and hatchback models, to say nothing of Si and Type-R variants. Chevy can bolster sales volumes by not spinning off so many models. Focus on fewer models and executing core competencies well, before moving on to new projects. Hopefully they go for that, rather than gutting the lineup like Ford did. Shame. Much as I’ve pooped on Cadillac in these forums for their clearly subpar offerings, I did/do not want to see them fail. Its high time they start putting out some of the best cars in more than just handling, but down the the last details that luxury cars are judged by. As far as the others, I assume its just trimming the fat, given those are slow sellers. I can’t imagine new models won’t be announced and people re-hired to build them. That said, I hope GM does their employees right and provides generous compensation to tide them over. You have to know that none of that means anything right? Cadillac doesn’t sell enough cars in Europe or Germany to matter to anyone. They don’t compare to the Germans in this size class. So a German CT6 owner can’t be happy with their purchase because Cadillac doesn’t sell many cars in Europe. Got it. Not quite; GM will still be producing some sedans. They’re killing a few sedans but introducing a few more. Doesn’t make sense. You Ford fanboys love spinning the truth. Just like Ford itself does. You seem to forget that way back in 2016, FCA made the swift decision to stop production of the 200 and Dart almost overnight because they didn’t see profitability when the idea that sedans were losing popularity was a new reality. Ford only made this announcement this year in 2018. It’s straight from the FCA playbook if any. I don’t blame GM. This will be better for them, so that they can focus all of their resources on making fuel efficient crossovers, trucks, and electric vehicles. I personally was more a fan of the original. The second-gen wasn’t all that great in my opinion (design-wise), it had it’s good and it had it’s bad, the sales weren’t enough to really keep it going and I guess that showed. 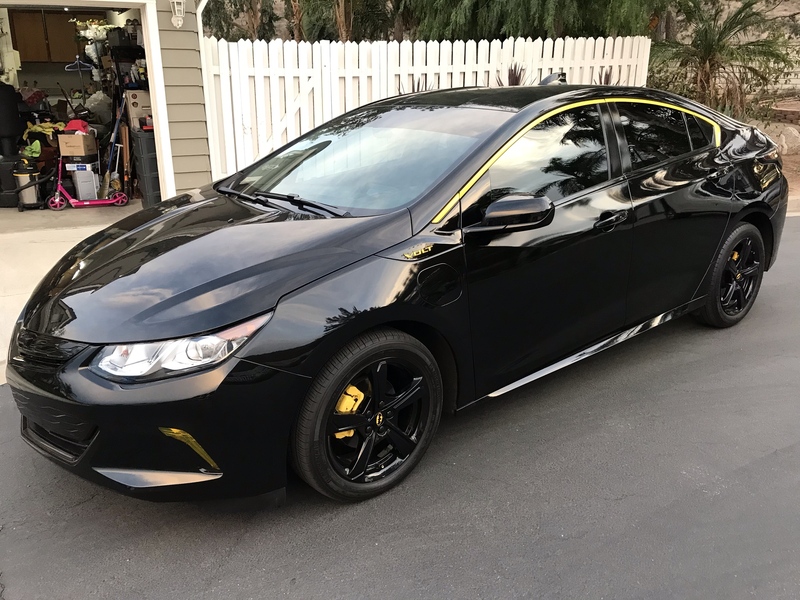 BUT I while I’ve seen the current volt,.. I have not seen your Volt. I am sure yours is probably the most “S3XY” of them all. Volt redesign looks like a 10-year-old Civic. It’s not distinctive or interesting like the first version. GM is an old age dinosaur car company. The times have shifted. This is the dawn of a new era. Gas is the past. Electrification is the future. Tesla has disrupted the auto industry and auto makers may not like it, but they are being forced to accept it. All old era car companies must adapt or be they will be left in the past. This requires a radical change in everything all these companies have been built upon. It’s funny how GM could have lead the EV revolution with the EV-1 but instead killed it due to low sales and to focus on ICE. Now they have to completely reinvent themselves and *try to catch up to Tesla. It won’t happen, but they will try, which is good. The more EV’s the better. Volt remains the best “EV” if you can’t afford a Tesla. After a Volt, you get a Tesla. Don’t you mean the Bolt? The Volt isn’t a true BEV as it has an ICE as part of its powetrain. And think the Kona BEV has passed the Bolt. Most Tesla models are priced waaaay above any mainstream GM sedan. Ridiculous comparison. Tesla is still a drop in the ocean as are all EV’s. I don’t think you could have missed the mark harder. What a depressing sad state of affairs. Sedans will be extinct in 10 years. I hate SUV’s but apparently I’m in a huge minority. 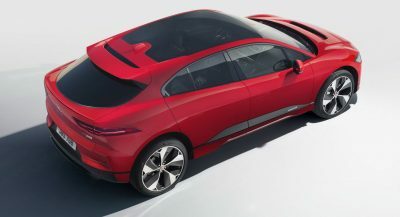 A family friend just brought a top of the range Honda CR-V… I then worked out he could have bought a decent spec Kia STINGER for the same money, I just shook my head when I thought about it. He would not even consider a sedan. I suspect that one of the reasons behind the huge success of SUVs is the fact that conventional cars became bloated things that aren’t that roomy for how big they are outside, being this the price to pay when you put huge diameter rims that require bigger, deeper and more invasive wheel wells. In a conventional car you overcome this by stretching and widening the model, while in a SUV you can raise the H-point and this leading to models that are not only shorter but also roomier than the sedans underpinned by the same platform. The average customer maybe doesn’t know how a car works but know what the overall size of this ride leads to, as there are some parallel parking spots that can be too tight for a bloated sedan but are right sized for a shorter and roomier SUV over the same platform. This average customer that doesn’t knows how a car works also know if a car is roomy and how roomy is for its size. As the automakers were bloating conventional models generation after generation, the SUVs became what is available to the average car owner when it comes to not having a huge length. It’s a trade-off in which a desirable lower center of gravity is given in exchange to a shorter length with a roomier interior. I’m not surprised to see that bloated sedans and hatchbacks are usually being replaced by SUVs one size category below. What can save the conventional car? Maybe debloating it like what happened to American cars after the mid-1970s, but now in a world level, as a current D segment Euro car is as big as what usually were big the American midsize sedans, just to have an example. 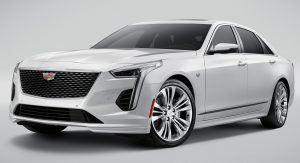 When Ed Welburn stated to not expect a revolutionary CT6 design back in 2014 when it was still under wraps, I realized that whatever high they were riding in 2000s with the CTS, wasn’t happening again for a while if ever again. Didn’t they just launch the CT6? Cheeto: business…how does it work? Drumpf will blame Obama and But Her Emails™. Then claim that it’s great to have a REAL MAN in the oval office. Could any of this be tied to the current market trends of young people preferring ride share and public transit rather than owning a car? Young people don’t seem to have the same enthusiasm for cars as I did as a kid. So what happened to the CT6 refresh? Tesla is eating GM’s lunch? These to-be-closed factories sold as little as few thousands units a year, comparing to 88+K units per quarter sold by Tesla. Poor planning and no balls at the top. Literally. That’s why GM is doing what it’s doing. As for Tesla, it’s simply a matter of time before BMW Mertz, and Audi all but wipe it out.